Bluetooth is awesome but GOD DAMMIT BMW WHY CAN’T YOU USE GROMMETS? 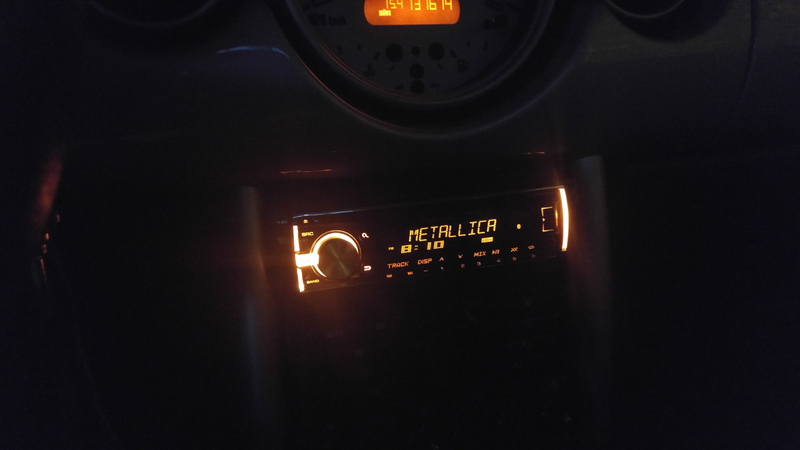 Got the new head unit and amp installed in the Mini today and it sounds pretty good. The factory speakers are the weakest link but they don’t sound bad. Only strange thing is that the rear speakers only play the low end. I don’t know if the settings on the amp are off or if there are low pass filters installed on the speakers. Now on to the idiotic way that BMW sealed where wires pass through the firewall. I had to run a wire from the battery to the amp in the back of the car because I wasn’t going to power a 300w amp with 20AWG wire. Instead of using the logical option of grommets to seal around the wire it appears that rubber was melted over the wires to create a seal. This made it almost impossible to run additional wires through the firewall. We destroyed the seal around the hood release cable to run the power wire. I really like this car. It is like a pug in that it is a small car that really wants to be a big car. The little 115HP 1.6L 4 cylinder makes wonderful growling noises and loves to rev which you can take advantage of with the 5 speed manual. Definite improvement over the soul sucking automatic outback.